The idea of ‘healthy obesity’ has attracted attention for more than 15 years. Being fat and fit may be a myth, new research concludes. Scientists are now questioning the idea that if you are obese but have no indications of health-related problems, then you can be healthy. New research has shown that white fat tissue in both metabolically healthy or unhealthy obese people has identical abnormal gene expression patterns in response to insulin stimulation. “The findings suggest that vigorous health interventions may be necessary for all obese individuals, even those previously considered to be metabolically healthy. Obesity affects 600 million people globally, leading to a higher risk of cancer, heart disease, stroke and type 2 diabetes. Evidence for the association between obesity and metabolic syndrome (a serious risk factor for heart disease, stroke and diabetes) has increased steadily since the 1940s. However, some experts in the 1970s and 80s started to question at what level obesity elevates the risk of these health conditions. 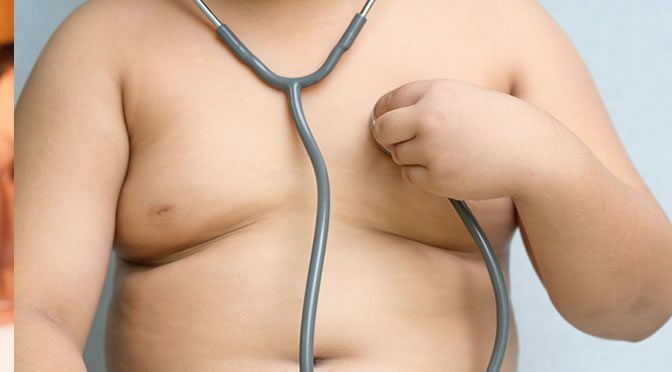 Later on in the 90s and early 2000s studies on obese people showed these individuals can have a satisfactory cardiovascular profile and be metabolically healthy. According to current estimations, about 30% of obese individuals are metabolically healthy and so wouldn’t necessary need treatment. Professor Rydén and colleagues compared responses to insulin between obese subjects and never-obese participants. Gene expression in response to insulin stimulation was identical in obese insulin-sensitive and obese insulin-resistant subjects. However, these abnormal gene expression patterns were not affected by metabolic risk factors such as heart rate, blood pressure, waist-to-hip ratio or heart disease. This suggests that obesity is the key factor influencing metabolic health. “Our study suggests that the notion of metabolically healthy obesity may be more complicated than previously thought, at least in subcutaneous adipose tissue. “Insulin-sensitive obese individuals may not be as metabolically healthy as previously believed. The study was published in Cell Reports (Rydén et al., 2016).